He was born in Bryn Mawr, Pa., on July 1, 1943 and grew up in Havertown, Pa., and Ocean City, N.J. He earned degrees from the University of Delaware and completed a postdoctoral fellowship in physiology at the Eye Research Foundation of Bethesda, Md., where he later became director of research. For over 40 years, Robbins was a professor, then provost and interim president at OWU. He also served as chair of the Department of Psychology and director of the University’s Summer Science Research Program, and was co-founder of the Neuroscience Program. He was named an honorary alumnus in 2008 and received several teaching honors, including the Sherwood Dodge Shankland Award and Hebert Welch Meritorious Teaching Award. He was preceded in death by his parents, Morris and Anne Robbins, and brother, Allen Robbins. He is survived by his wife of 47 years, Jan, their daughters, Drs. Cynthia Robbins and Karen Robbins; sons-in-law River Bailey and Andrew Knapp; and precious granddaughter, Lydia Robbins Knapp. He is also survived by his sister, Marianne, and her partner. 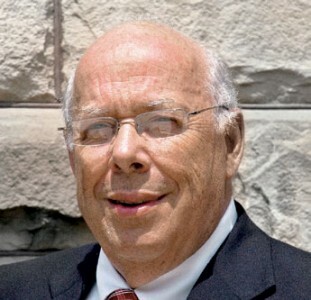 Contributions in his memory may be made to The David O. and Janice S. Robbins Summer Science Research Endowment at OWU.